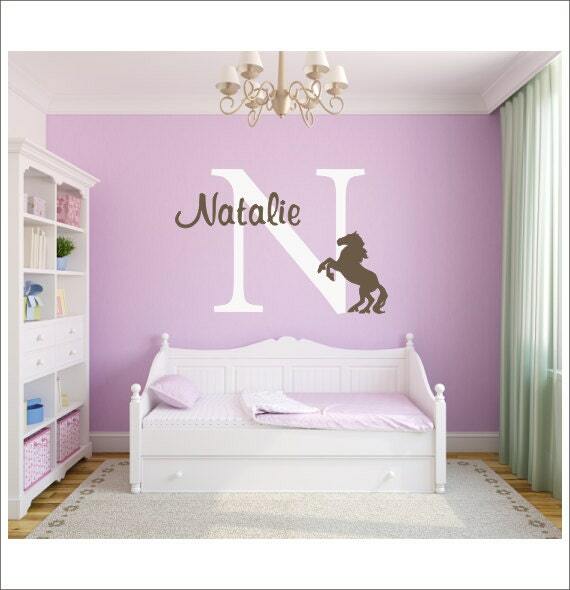 This decal is perfect for the little girl who loves horses! Easy to apply and remove, vinyl decals are the ideal way to decorate! 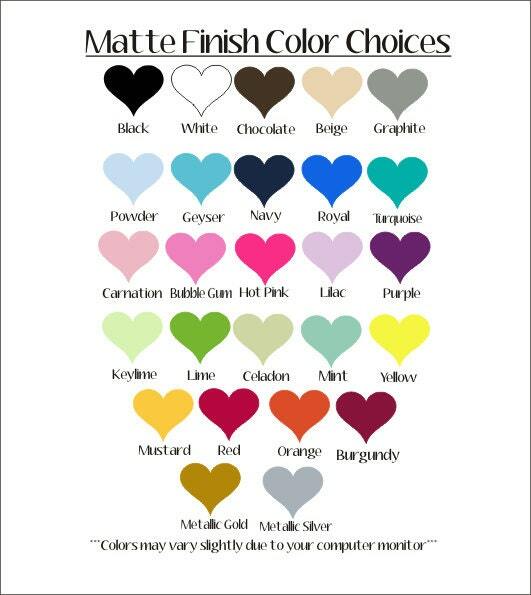 This decal will come in three different pieces(Initial, name and horse) for you to layer/arrange as you wish. Initial is 23"H x 23"W, though final size will vary with the addition of the name and horse. *Plese note*-When layering a two color decal, it is usually best to use the lighter of the two colors underneath, and the darker of the two on top. This is just a suggestion. Also, decal is not scale to size. It's been enlarged to show detail. Actual size is listed in description above. Extremely fast shipping! !!! !!! It is perfect! Just as pictured. Arrived quickly, in great condition, exactly as requested! Thanks! My daughter loved her decals! Super quick shipping and would love to order again in the future.